When I dip, you dip, we dip. We Color Dip, that is. Good luck getting that one out of your head. Just sayin. Lately, each time I visited my local nail supply store, I saw more and more new brands of this new product... dip powder systems. Now dip powder is decidedly NOT new, they're essentially an acrylic nail of sorts. Not quite a natural nail, not quite a fake nail. The process consists of a base coat, the dip powder (whether colored or natural), an activator, and a top coat. This type of manicure doesn't require UV or LED curing, it simply dries to a hardened finish that lasts for 3 weeks. Easy peasy. When I saw this set, I knew that it'd be the perfect system to try out and 'dip my toe' into the dip powder process, so to speak. :) Get it...dip?! STEP 1: Prep the nails by pushing the cuticle back and shaping the nails. Clean the nail with a lint-free wipe and an alcohol-based cleanser. STEP 2: Apply a thin coat of the Color Dip base coat and quickly dip the nail into the powder at a 45º angle. Tap off the excess. I used a fan brush to brush all the excess powder off my skin and the nail. Repeat this step until you get your desired depth of color. I personally wouldn't go over 2 coats; I did 3 coats on one nail and was way thicker than I would have liked. STEP 4: Shape and buff the nail with the supplied buffer, and wipe with a lint-free wipe. STEP 5: Apply Activator and wait 20 seconds. Remove excess with a lint-free wipe. STEP 6: Apply 2 thin coats of the top coat and let dry. STEP 7: Admire your beautiful Red Carpet Manicure Color Dip nails for the next 21 days! Outside of the starter kit, Red Carpet Manicure Color Dip system offers 21 colors, most of which are relatively traditional, but there are a few bolder colors, like Hollywood Hills, a vivid fluorescent pink, City Limits, a bright lilac with sparkle, and Thrill Seeker, a black creme. The dip powders retail for $9.99 each (currently on sale for $7.99 at Ulta.com), and I would imagine that you could create your own custom mix by combining colors or layering! Red Carpet Manicure claims that this manicure will last 21 days, which is a week longer than gel polish lasts, and at least 2 weeks longer than conventional nail lacquer. I am exceptionally hard on my nails, and for the most part, this claim was actually met! More details on that in a minute. Like I said earlier in the post, this system requires no light curing to harden, and soaks off with acetone with little to no damage to the nail. To remove, you simply need to buff off the top layer of the product, breaking the seal. Use a RCM foil wrap soaked with acetone and wrap around the fingertip and wait 15-20 minutes, Alternatively, you can use a cotton ball soaked in acetone, wrapping it around your fingertip using a bit of tin foil. 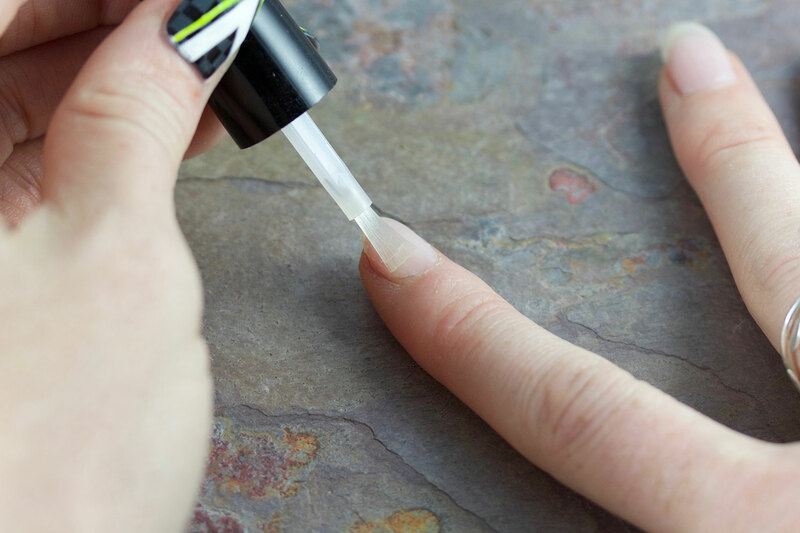 Remove by squeezing the nail and pulling, and most of the product should come off the nail. You can use the enclosed orange stick to remove the excess, but to prevent any damage to my nail bed, I used another cotton round soaked in acetone to remove any remaining residue. I found that if it hadn't soaked enough or was too thick, it was a bit...gummy, so keep that in mind. So what did I think of this system? 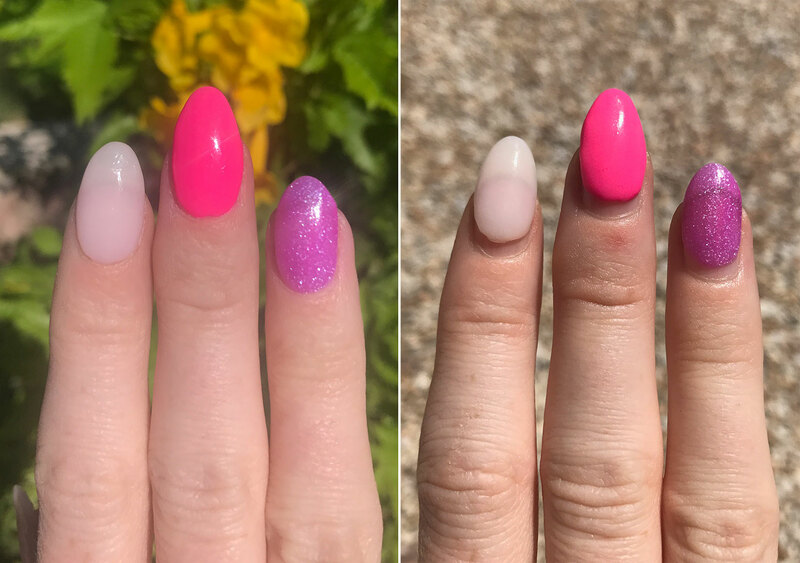 To be honest, I loved it, and it will be my go-to choice when I want to have great nails for an extended length of time without changing them up. (think vacation, busy work time, etc) My favorite part of this manicure was how strong my nails felt on the hand I was testing the product on, I actually had broken a nail shortly before applying, and the nail was able to mostly grow out while this was on my nails! In regard to the 21 days of wear claim, it was mostly true for me! I removed it on day 20, because I had a little lifting at the cuticle edge that my hair kept getting caught in, and the growth was driving me bonkers. I was pretty darn impressed still, because even gel doesn't last the full 2 weeks on me for the most part. It was fairly easy to apply, requiring only a steady hand and a bit of precision and patience. I was able to get a good nail shape, even if my first time applying was a bit on the thicker side. Removal wasn't much worse than a traditional gel polish, either. To be honest, my only sadness with this product is that I couldn't apply polish over it like I can do with gel polishes, since it would damage the surface upon removal. If I could do that, I would wear it all the time! What do you think? Are you going to grab the starter kit and some of your favorite colors? (especially now that they're on sale!) I think I might go grab some extra colors to round out my collection...black? Yes, please! OMG I've been dying to try this! I'm so glad you took it for a run so I could see it in action! Great post! It doesn't look too hard to do. I'm so interested in this system, especially for holidays etc because like you, my nails don't last the full 2 weeks with Gel. Did you end up trying it out Vicky? Would love to see what you thought! Great article! I am using a similar set- (Peppigel) and I have had luck painting regular polish on top of my existing dip powder. I even stamp on it as well. I use a non-acetone remover to remove the color or stamping and change it up whenever I feel like it. That way I get the strength and built-in color of the dip or can keep the strength but use any of my regular nail polishes with regular top coat. If you do want to stamp and then have that last and last, stamp before applying the shine step (step 3?). Hope that helps! I totally need to try this idea!! Thanks for the tip!! Great article! Just so you know, I use regular polish as well as nail stamping on top of my dip nails. 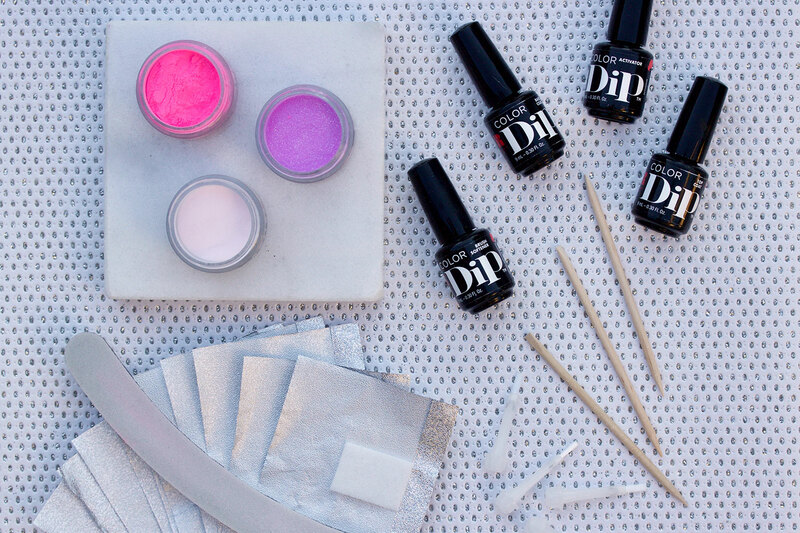 You can paint any nail polish directly on top of the dip powder topcoat, then stamp or apply a regular top coat. Remove with non-acetone remover. 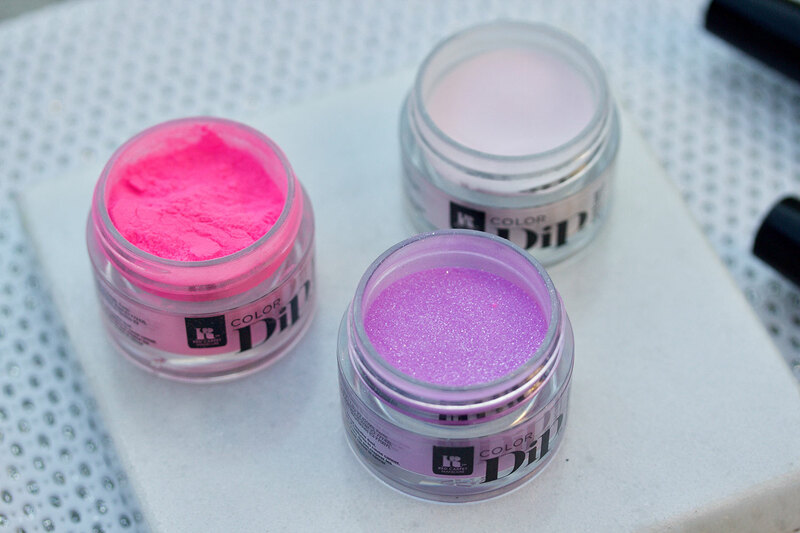 You can also stamp directly onto the dip powder before applying the dip powder top coat and it should remain for the duration of your dip. This lets you enjoy the different nail polish colors and nail art you might want to do while benefitting from the strength of the dip powder. As a nail-biter I've had excellent luck with this and have the longest nails I've ever had! Enjoy! How does this brand compare to SNS or Kiara Sky? 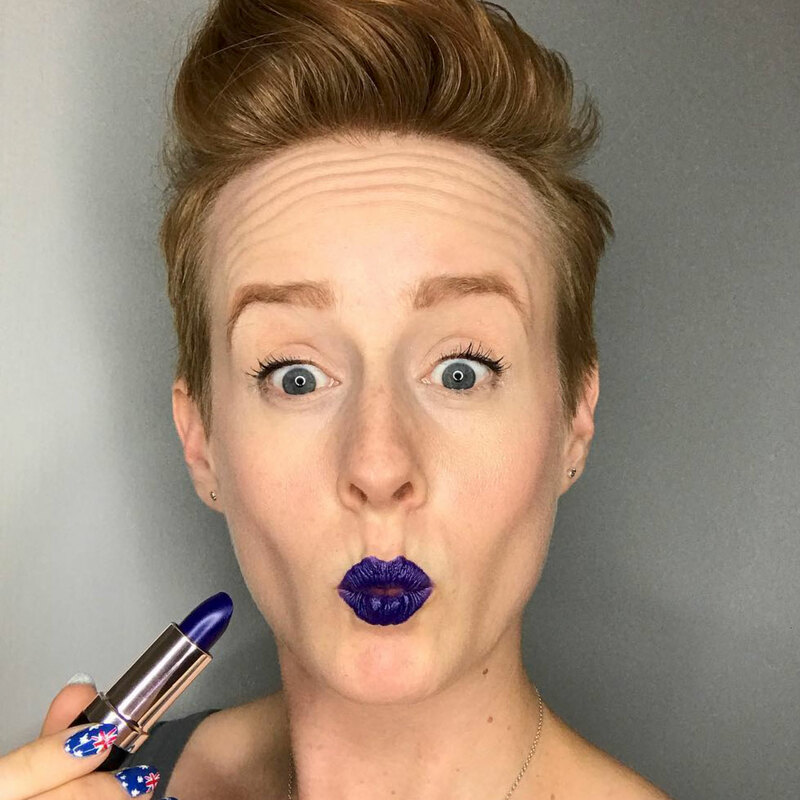 I haven't tried either yet, but I definitely have Kiara Sky on the list to try! Hi! What is the color you have on your finger all the way to the left? I got this kit for Xmas and I’m having trouble with the base coat and top coat brushes hardening. I’ve tried the brush softener (left them in for awhile) and it’s not working. The top coat has turned gummy too. Any suggestions? Hi Whitney! I experienced something similar, but when I put the brush in the softener overnight, that helped. I've had the same issue with all of the different brands Ive tried, not just RCM, so I think it may just be a weird quirk of Dip Powder systems?